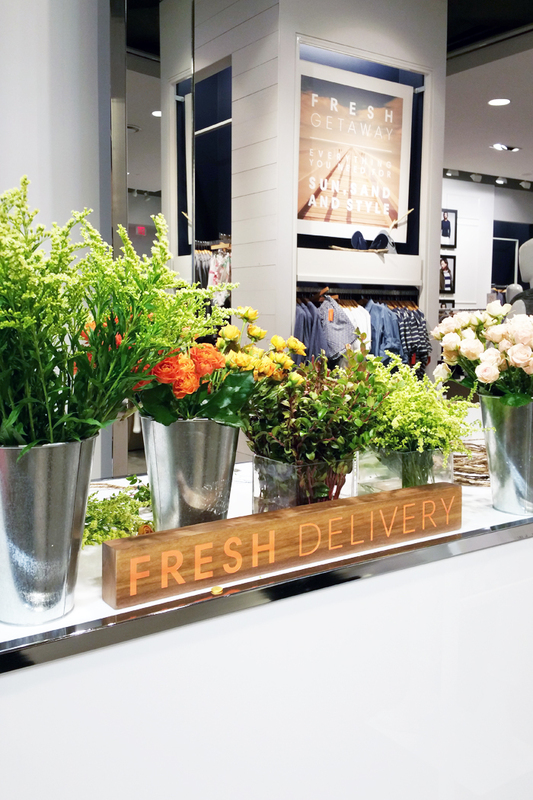 To celebrate Spring and the new Joe Fresh Spring collection, I hosted an incredibly fun in-store event this past Saturday at the Joe Fresh Toronto Flagship store (Queen & Portland). 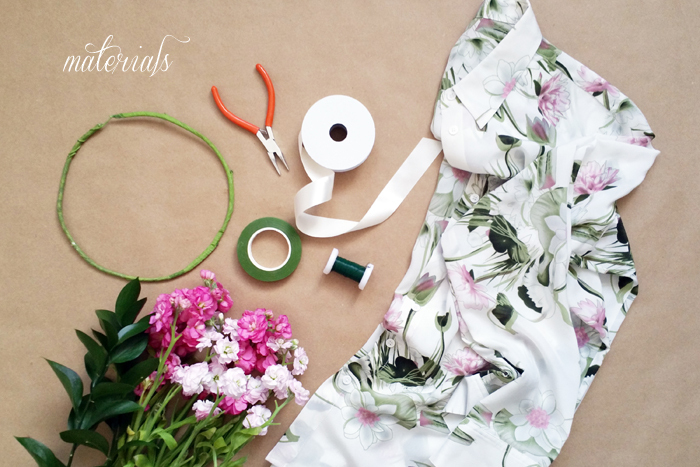 I had such a great time creating DIY floral crowns and chit chatting with shoppers, it was a colorful and Spring-like Saturday! Thank you for all of you who made it out and spending some time with us! For those of you who weren’t able to join us at the Toronto location, have no fear! 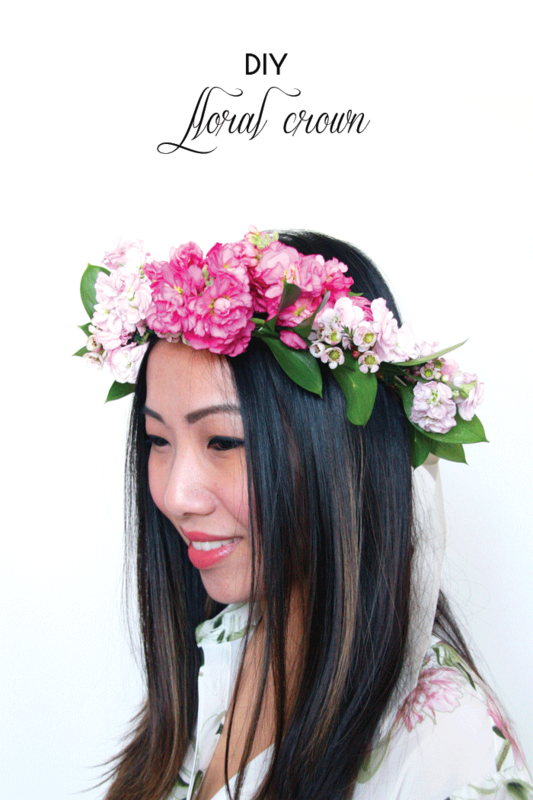 I’ve got you covered with this simple step by step DIY floral crown tutorial. With some practice, I promise it’ll only take you no more than 10 mins per crown! A little extra treat for you all, until midnight March 9, receive 15% off your entire purchase online with code LITTLESECRETS15! The floral silk blouse is a must have! 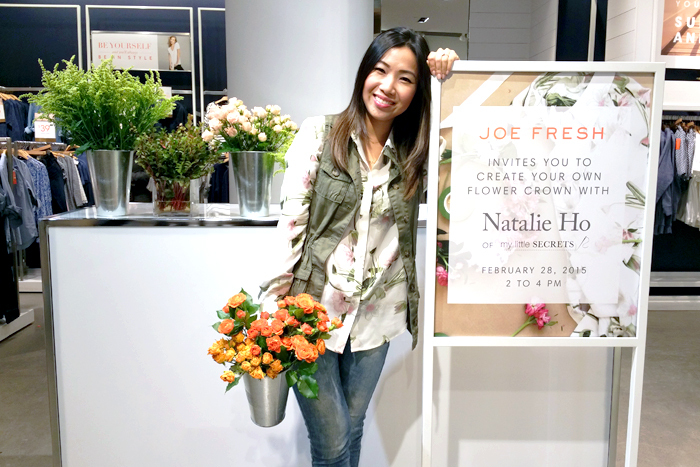 My floral crown was inspired by the floral silk shirt, be sure to check out the Joe Fresh Collection for more inspiration!